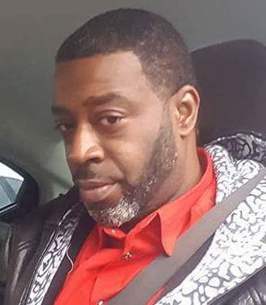 Mikal Burton Service Details - Greenville, South Carolina | Watkins Garrett & Woods Mortuary Inc.
Mr. Mikal Jawwaad Burton, 41, of Piedmont, South Carolina, passed on Sunday, October 7, 2018, in Portland, Oregon. Born on April 29, 1977, in Greenville County, he was a son of Michael and Kathy Burton. Mikal was a graduate of J.L. Mann High School, Class of 1996, and attended P.C.C. Sylvan College in Portland, where he was an honor student. He was a member of the Rocky Creek Baptist Church in Simpsonville, South Carolina. We encourage you to share any memorable photos or stories about Mikal. All tributes placed on and purchased through this memorial website will remain on in perpetuity for future generations. I am sorry for your loss of your love one, Mr. Mikal Burton. Expressing my sincere condolences to the family. May the God of all comfort sustain each one one of you during time of grief. 2 Corinthians 1:3,4. OUR CONDOLENCES TO THE BURTON FAMILY. GOD WILL TAKE CARE OF YOU!